Los Angeles has historically served as an incubator to creative, revolutionary concepts, and Toluca Lake and its surroundings have been an important backdrop to that role. In 1940, fresh off his Snow White success, legendary entrepreneur and animation pioneer Walt Disney relocated his studio to Burbank. 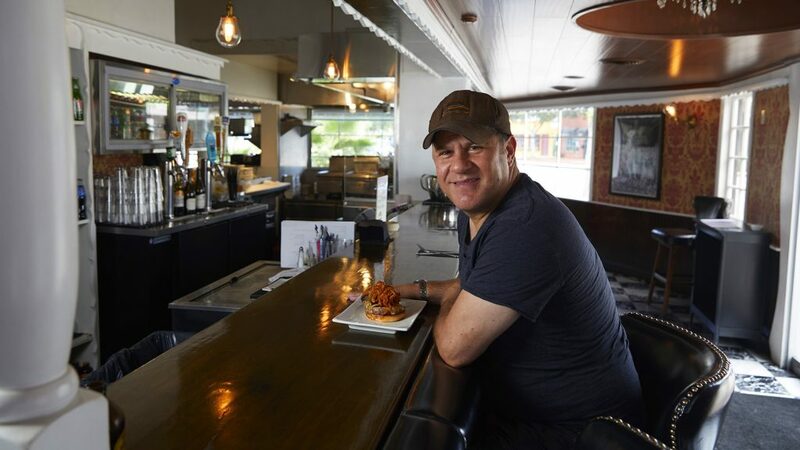 More than 70 years later, a little over a mile from Disney Studios, another visionary entrepreneur, Adam Fleischman, brought his revolutionary burger concept to the neighborhood. 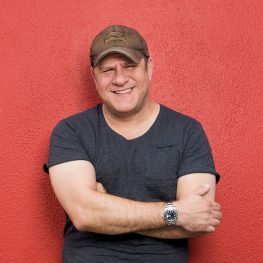 The self-taught food innovator and culinary personality founded Umami Burger on the idea of elevating the humble burger by emphasizing “umami” (the so-called fifth taste that rounds out the four basic tastes of sweetness, sourness, bitterness and saltiness). Often described as the “savory” taste, umami was first identified by Japanese scientist Kikunae Ikeda in 1908. In 2005, Fleischman had an epiphany while enjoying a meal from another iconic Los Angeles burger institution, In-N-Out: Wed umami flavor to the classic burger. He tinkered in his home kitchen with umami ingredients to craft a secret recipe that would change the burger as we know it. 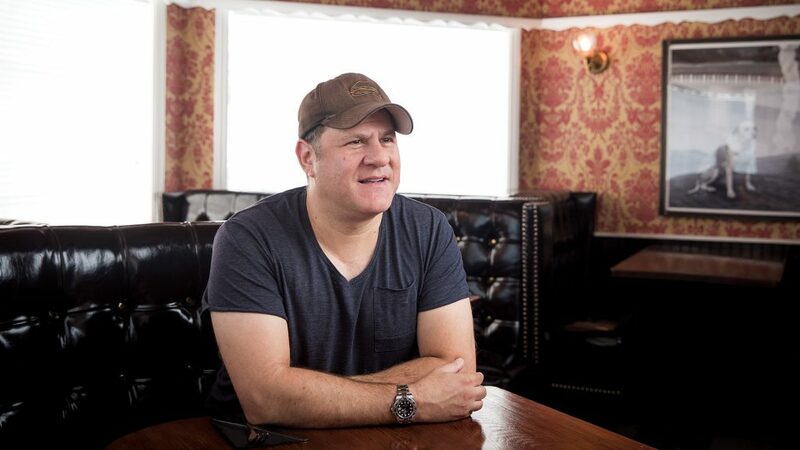 Armed with his fresh culinary vision and capital earned from the sale of his stake in Culver City wine bar BottleRock, Fleischman opened his fast-casual concept restaurant Umami Burger in Los Angeles in 2009. The first location on La Brea enjoyed immediate success. Umami Burger – Burbank, founded in 2013 at former neighborhood institution Papoo’s Hot Dog Show, was the 10th Umami outlet. Umami has since grown to 25 locations in California, New York, Illinois and Florida, with a global expansion to Japan earlier this year. I recently caught up with Adam at his home in Los Angeles, where he shared insights on the “Umamification” of Papoo’s, the L.A. food scene, his current projects and his unique perspective on all things culinary. 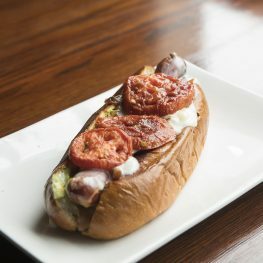 ONE AND ONLY Toluca Lake is the sole Umami location serving hot dogs, like the Original with roasted tomatoes, carmelized onions and Parmesan. Photo by Daniel Deitch. Why did you choose the Papoo’s Hot Dog Show location for a new Umami Burger? In 2013, we had one location in the Valley in Studio City, with a partner who wanted to put another location in the Valley. He acquired the Papoo’s location, and we decided to put Umami there. We liked that it was a really old, historic building that wasn’t super generic. We respected its history as a classic 1950s hot dog stand — it even appeared in the iconic ’50s film Invasion of the Body Snatchers. Papoo’s original owner, Leona Gardner, said she decided to sell because it needed an extensive remodeling that she couldn’t afford. What was your vision for the renovation? It took a lot of work to update the kitchen, which was 50 years old. We basically gutted the whole thing and rebuilt it from scratch. We wanted it to be cozy and comfortable, offering much more seating. We wanted people to be able to sit and have drinks; to have a bar in there; to offer all the bells and whistles of a sit-down, fast-casual dining restaurant. Can you give us any additional insight into the renovations? What did you want to preserve of the original character? We wanted for sure to preserve the original sign. We preserved as much of the exterior as we could, and the interior we totally remodeled because it was not up to code. You’ve said that the food between Umami locations is not designed to taste the same; you want customers to have a unique experience. 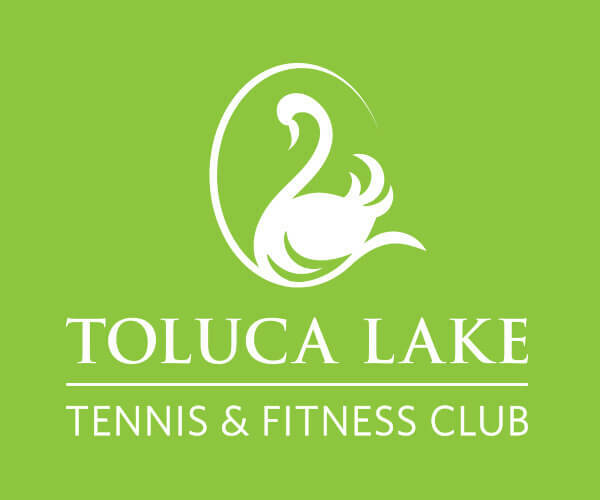 How did you tailor the menu to the Toluca Lake neighborhood? We decided to sell hot dogs there because of the sign: It said hot dogs, and we wanted to keep the sign. 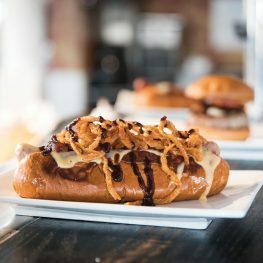 We always do a signature burger for each location, but there we did signature hot dogs because of the previous owners. We adapted our burger recipes for that location to work with different hot dogs. You are co-founder and current managing director of AdVantage Restaurant Partners, creating and sourcing what you believe to be the next wave of culinary brands. What’s currently in the works? I am working on a bunch of smaller, food-hall-type spots. One will be in Grand Central Market [the recently opened PBJ.LA]. And I am working on a coffee brand starting this year in Koreatown. Your cookbook, Flavor Bombs: Cooking With the Art and Science of Umami, is set for release this winter. What was the process of gathering the recipes like? You know, it was really hard, because a lot of cookbooks are people taking the recipes they make at their restaurants and putting them in the cookbook — but I didn’t do that. So it’s really the dishes I like to make at home. It’s elevated home cooking using the Umami pantry of ingredients. CHOWHOUNDS Behind Fleischman is one of many dog portraits belonging to the Toluca Lake building’s owner. Many locals request the booth graced by their favorite pooch pic. Photo by Daniel Deitch. You came to L.A. from the East Coast in 1998. What preconceptions did you have about the dining scene here? The L.A. dining scene was very different than it is today. It was dominated by classic restaurants that have gone away, like Campanile in Hancock Park, and it was also lots of fast food. Once I got past the surface, I realized how great the ethnic dining is here. The Asian dining and the Mexican dining are pretty much the best I’ve seen anywhere. I really got into the dining scene through L.A. And then around 2009 it really changed a lot, and now it’s become much more cutting-edge. What contributed to that change? A new generation of chefs who were trying to use the good products we have here, trying to break the mold. L.A. is always about creativity for me. You have creative writers, you have creative cinematographers, and you have creative chefs as well. What is unique to Los Angeles that contributed to Umami’s initial success? Umami is a forward-looking burger place, and L.A. is very forward-looking. We also broke the mold on the traditional burger, which is a very L.A. thing to do, because L.A. is very iconoclastic — iconoclastic in the sense that people are good with changing up classic things and doing it their own way. Last year Forbes magazine named Umami as one of the 25 most innovative consumer brands. Which cutting-edge brands or forward-thinking people do you admire? I admire all the food innovators like the Nathan Merkels of the world who are doing more experimental cooking. I love his brand. I love the big-tech brands like Amazon that enable chefs to gain access to ingredients from around the world. Not being limited to a certain grocery store or market has been a boon for chefs. I admire YouTube for showing people how to make complicated recipes, making cooking available to everyone in the world. No secret. Just attention to detail and good taste. Is there anything you refuse to cook? I don’t refuse to cook anything. I’m cooking weird stuff all the time! Does your fame and reputation prevent you from being critical and honest? Never. You’re only as good as your critical faculties. How has your past influenced your success? I grew up around food and was curious about it. My mom was in the catering business. Eating good food from an early age, going on trips, going to Europe, exploring — that is what opens up any cook’s mind. It’s crucial to get out of your own country and see how people are doing the same thing, putting food on the table in a different way. What advice would you most like to give young entrepreneurs starting out in the food industry? I always give the same advice: Do something on a small scale that you own. Don’t try to do a restaurant to start; try to work up to one. I like to use wooden spoons a lot, cast-iron pans, old-school cooking apparatus. What seasonal ingredients for fall excite you? In fall, you always get great mushrooms here. It’s really just about staying close to the market to see what’s available. But I love cooking with fall stuff, because you can introduce warmer dishes and just do braises and things like that. What ingredient or food item do you consider underappreciated? Rice. I feel like people see rice as this generic ingredient, but it has lots of different characteristics. How about an overappreciated ingredient? In L.A., avocados. They are great, but very overappreciated. And tuna. People just use tuna way too much instead of exploring the lesser-known fish varieties like lingcod. What people consider subprime fish are species that are underfished and readily available. Where do you buy fish? Mostly from a distributor, but for retail, the Hollywood Farmers’ Market. Do you have any tips for making a good burger at home? Tons of tips! You want to grind your own meat, in the food processor or a meat grinder. You want to sear it really well on the outside, keeping the inside sort of medium, medium rare. It’s all about heat when it comes to burgers. High heat, as high as you can get. If you could cook for anyone, who would that be, and what would you make? I would love to make a burger for former President Barack Obama. Toluca Lake has been home to celebrities like Frank Sinatra, Bette Davis, Bing Crosby and Bob Hope. If they all walked into Umami Burger, what would you serve them? I would serve them a dry martini! I mean, it’s Frank Sinatra! Design an Umami burger for Frank Sinatra. It would be very meaty, very cheesy, very all-American. I think of him as an American icon, so it would be pickles, mustard, things like that. Thank you, Adam. We’d be delighted to share a burger and a dry martini with you anytime! 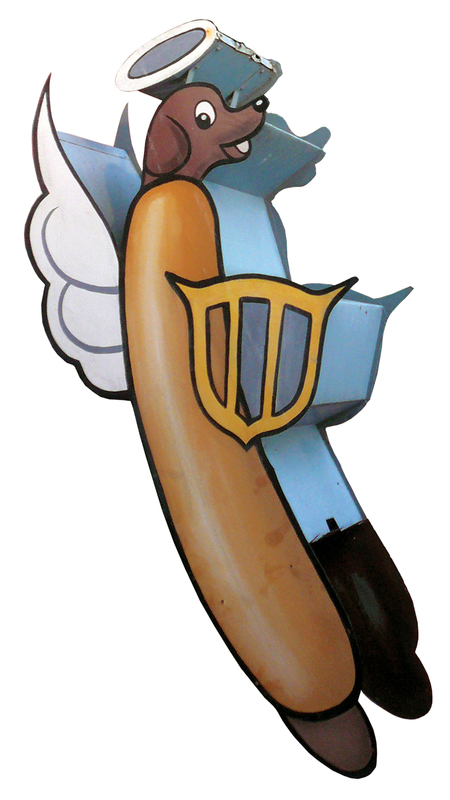 Many locals recall the classic display of angelic pups adorning the original Papoo’s Hot Dog Show building back in the day. This little fella greeted Toluca Lake visitors as they drove past on Riverside Drive. But did you know that this sweet lil’ pooch is still among us? The famous signage was saved and is now part of the permanent collection at the Museum of Neon Art in downtown Glendale. What Makes an Umami Burger? The meat consists mostly of coarsely ground American wagyu beef, seasoned with Umami sauce (a soy-sauce blend) and then sprinkled with Umami dust, a proprietary spice made of dried porcini mushrooms and dried fish heads. 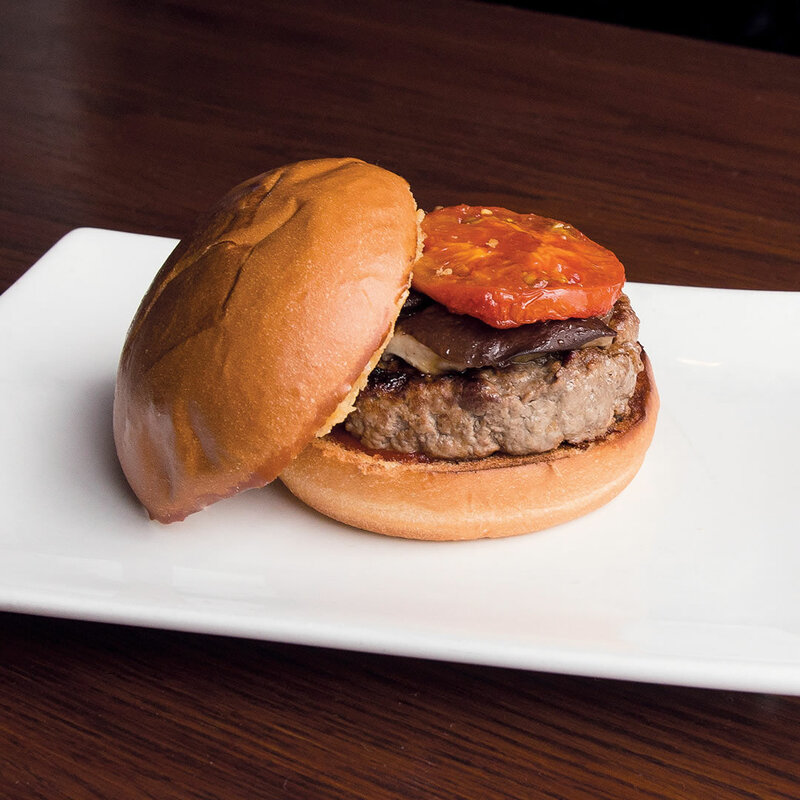 While there are several different burgers offered at any given location, the classic Umami burger includes Parmesan frico, shiitake mushroom, roasted tomato, caramelized onions and Umami ketchup. Want to make Umami dust at home? Get the recipe!